I joined the NRA when I was 15, and I took to college a typewriter, record player and Ithaca 12-gauge shotgun. I shot my first deer two years later. I admire Maine’s hunting traditions and gun culture that are basic Maine values. But I believe that opposing sensible gun laws is the greatest threat to the future of those traditions. Maine has a low crime rate, but it has a high suicide rate and a large and growing drug problem. All too often domestic violence ends in gun violence. And Maine is deeply vulnerable to a mass shooting because of our high suicide rate, unrestricted access to guns for sale through Uncle Henry’s and internet sites, permitless open carry and poorly funded and administered mental health programs. Most mass shootings are done by young men who have mental or emotional problems and who often intend to be killed or to kill themselves. Maine’s mental health programs are poorly funded and administered, and the LePage administration recently rejected federal funds that supported mental health programs for at-risk youth without a clearly identified alternative source of funding. Maine needs to do more to keep guns out of the wrong hands — that is obvious — and public support for doing so grows stronger every year. Question 3, which would require background checks for all gun sales and transfers, would make a huge difference. At present, as much as 40 percent of all guns sales happen without background checks. Convicted felons and domestic abusers and the mentally ill, who are prohibited under federal and state laws from buying guns, can still arrange to buy guns in Maine through Uncle Henry’s and internet sellers and other private sellers with no background check, no written record, no questions asked. They then can carry those guns openly or concealed practically anywhere. States that have adopted background checks for all gun sales have seen dramatic reductions in gun suicides (down 48 percent), domestic violence deaths with guns (down 46 percent) and police officers shot and killed with handguns (down 48 percent). This is truly compelling, and it is not refuted by grousing incorrectly that background checks will make it illegal to lend a gun to a buddy. That is not persuasive, and it certainly is not responsible opposition to a measure that only enforces existing law and that saves hundreds of lives. It is self-centered arguments like this that make the gun lobby look extreme and easily dismissed. No one is going to repeal the Second Amendment or take away guns. The U.S. Supreme Court has made that crystal clear. Claiming that this is a real threat seriously undermines the credibility of the gun lobby. Gun owners’ views will be taken seriously and be politically effective when they become more realistic and less nutty. When I joined the NRA, it supported background checks for all gun sales. That has changed, obviously, but it is the NRA that has changed, not the value or importance of background checks. 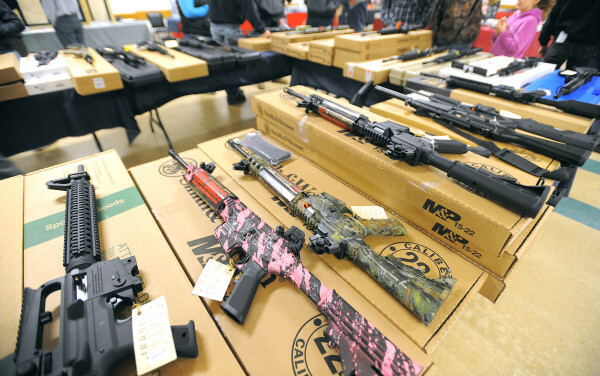 More than 40 percent of Maine gun owners support background checks for all gun sales, according to a Portland Press Herald poll, released in September. That same poll showed a majority of Mainers support background checks. Opposing background checks is bad policy and lousy strategy. Maine has a long tradition of responsible gun ownership. Requiring background checks for all gun sales reinforces that tradition without jeopardizing the Second Amendment or the values gun owners hold dear. Supporting background checks will confirm that Maine gun owners are responsible rather than crazed, and it is the smartest strategy gun owners could adopt. Tom Franklin is a retired lawyer. He lives in Portland.